It’s hard to have a conversation about online marketing without bringing up both blogging and Twitter. Both have become critical components of a well-balanced online marketing mix (and for good reason). Blogs can be the anchor in a social media marketing strategy, enabling a company to humanize itself, provide valuable content for targeted users, and also target the long tail of SEO (which is critically important for natural search). Then you have Twitter, which has become a powerful way to engage targeted users and to get the word out about your valuable content. If you’re new to social media marketing, then blogging and Twitter should probably be the first two items on your checklist when starting. They are too powerful and ubiquitous to ignore. So based on what I just explained, it’s natural for companies to get excited about launching a blog and Twitter account. Setting them up is the easy part (as most people find out). The act of consistently and continually blogging and tweeting is the hard part (and where most people fail). Once the accounts are set up and ready to go, I typically hear a few important questions from new bloggers and Twitter users. For example, “what should I blog about?” or “why do my tweets seem to go nowhere?”, and “what’s the ROI of this?” I’ve heard these types of questions so many times, that I can almost answer them in my sleep. To help demonstrate the problem, I’ve displayed a bell curve below representing the stages in the process of starting a blog or Twitter account. The graph includes brainstorming, excitement and enthusiasm, the launch, publishing, the first encounter of the “black hole”, and then a quick fade to confusion, frustration, slowdown, and ultimately silence. The cause of the trend is what I like to call The Black Hole of Blogging and Twitter. It won’t be studied in astronomy classes across the country, but believe me, it’s there. There’s a slide in my presentation about social media marketing that consists of a single large black circle with the caption, “This is what you’ll be blogging to once you launch.” Then the following slide contains another black circle with the caption, “And this is what you’ll be tweeting to…” Both circles represent the black hole that new bloggers and Twitter users face during the beginning of their social media initiatives. 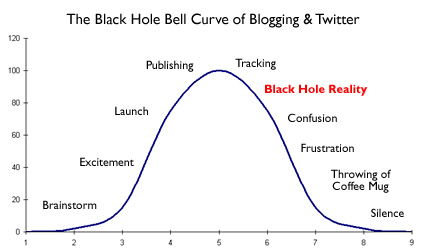 But what exactly is the black hole of blogging and Twitter? It’s actually simple when you break it down (and makes a lot of sense). When you start a blog or Twitter account, nobody knows about you (usually) and the hard truth is that nobody cares. Your priority as a new blogger or Twitter user should be to build credibility and trust, and just like in the offline world, that takes time. So, you start writing killer blog posts and tweeting valuable content. You build some subscribers and followers, but nobody gets in touch with you. There are no high search engine rankings. And there are no calls. I’m sure you’re wondering how you break out of the black hole. Good question. In order to break out and gain some traction, you need to build critical mass. And no, this isn’t easy and you cannot game critical mass. Building 2000 Twitter followers in a week via some automated service won’t build you true followers. It will build zombie followers. And although they’ll be there, they won’t know who you are, they won’t care about you or your tweets, and you’ll get no value from having them. You need to earn true followers. The key to breaking out of the black hole is to build a strategy for blogging and tweeting and simply keep going… You need to keep blogging, promoting your posts, and connecting with other bloggers. You need to respond to comments on your blog and on Twitter (although there won’t be many in the beginning). You need to be consistent, persistent, and tough it out. On Twitter, you need to keep pumping out valuable content. It should be content that interests targeted users. You should track your tweets to find out what your followers are interested in and refine the content that you tweet. You need to filter what’s important and make sure you tweet multiple times per day, every day. Yes, that’s every day, including weekends. You need to engage other Twitter users, respond to direct messages, and help out your followers. No, it’s not easy, but the benefit will greatly outweigh the work involved. But, that benefit will only come if you work your way out of the black hole. 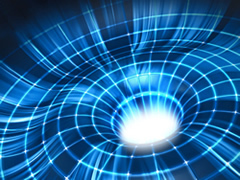 If you do end up gaining critical mass, then the black hole will start to shrink. You’ll see breaks of light in the darkness and you might start connecting with people from all over the world. If you’re tracking your efforts, you’ll start to see more subscribers, retweets, inbound links to blog posts, social media activity around your posts (like Stumbles, Diggs, Bookmarks, etc.) You might just start becoming a believer in Twitter, blogging, and social media. And always try to remember the bell curve I provided above, and try as hard as possible to not become part of that trend. Unfortunately, I see it way too often from companies launching new blogs and Twitter accounts. As more people enjoy your posts, share them with others, tweet them to their followers, vote for them, and bookmark them, the more valuable links your blog will build. The more valuable links you build, the more SEO power you gain. The more SEO power you gain, the more keywords you’ll rank for. And as more targeted users search for topics you write about, they might very well end up at your blog. 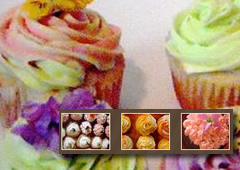 And since you’ll promote your Twitter account right on your blog, you’ll also gain them as Twitter followers. And the more subscribers, followers, fans, and new customers you build, the more you’ll want to blog and tweet. The cycle will all make sense to you at this point, but you need to get there first. I’ve written about the Twitter Effect on SEO previously on my blog. Read the post and you can see how both blogging and Twitter can have a profound effect on natural search. You shouldn’t ignore that fact. Natural Search is too powerful to ignore. If you’re new to blogging and Twitter and you are currently dealing with the infamous black hole, don’t get frustrated. Stay the course and keep going. You need to keep building and sharing quality content, connecting with others, tweeting great articles, etc. And if you’re able to work your way through the black hole, you might eventually see the power waiting on the other side. But if you let the black hole get to you (like many people do), you’ll end up off the grid, and you’ll lose out. And if that happens, you’ll leave a void that your competitors could fill. And they sure will. The opportunity is there. Make sure you’re in the game. 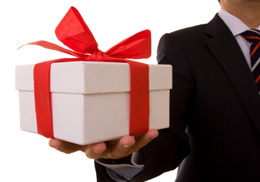 Last week I announced the “Search a Small Business” Holiday Giveaway from G-Squared Interactive. Since small businesses often move at light speed to keep their operations running, they sometimes don’t have the resources to stay on top of online marketing. So in the spirit of the holidays, I wanted to give a small business in New Jersey a free online marketing audit and analysis performed by myself and Matt Leonard. The audit and analysis will provide a roadmap for the company’s online marketing efforts and could include recommendations for SEO, SEM, Social Media Marketing, Website Optimization, and Web Analytics. Although an “audit and analysis” doesn’t sound like a killer online marketing service, it’s probably one of the most powerful services I offer. The analysis will identify online marketing strengths, weaknesses, and opportunities, and will ultimately help develop a roadmap for moving forward. And if you’ve read any of my previous blog posts, you know I don’t believe in “charging the hill” without performing a thorough analysis. So congratulations Kati! We’ll be in touch shortly.